I recently posted about the different probiotic supplements available on the market, and the frustrating reality that much of what we might want isn’t actually available in supplement form. A few soil-based probiotic supplements are available, and might be an avenue worth pursuing, but these are almost exclusively not bacterium that are normal members of our gut flora – so I am yet to be sold on their benefit. But soil is probably where the answer lies. It is absolutely chock-a-block with the stuff, including some genera that are just as at home in the human gut. 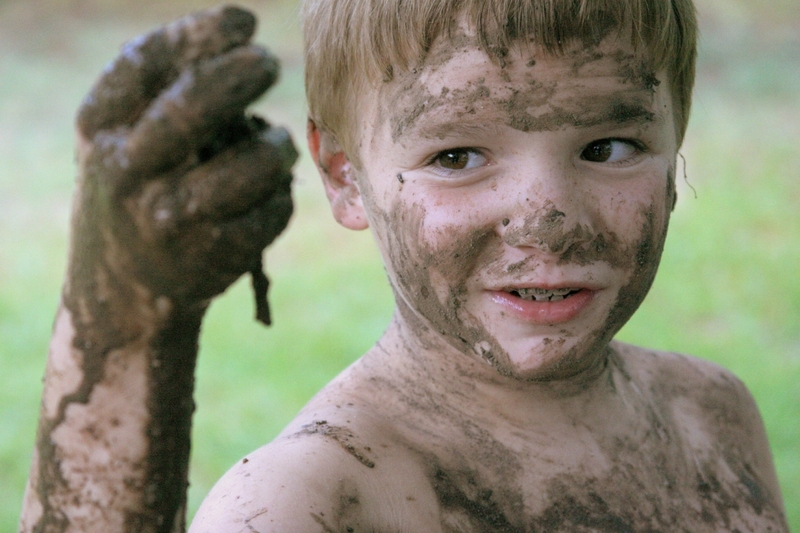 So why don’t we have loads more soil-derived probiotics? 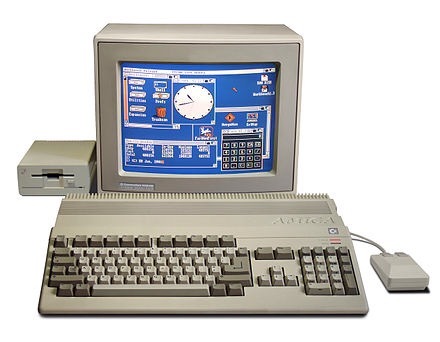 The Amiga 500 arrived in 1987. So did our latest antibiotics. The problem, is that we are rubbish at growing it in the lab. This is also part of the reason why we haven’t had new antibiotics coming onto the market since 1987, as this is where most of our antibiotics were discovered in the first place. This is what a brand new personal computer looked like in 1987. Cell-phones were in their infancy and didn’t fit in your pocket and the internet wasn’t there. We are fighting today’s bacterial diseases with ludicrously outdated technology. We’re in the stone age. So it’s positive that a new study reported in Nature earlier this week reports a new method for growing bacteria by burying them in soil. The technique isolates different bacterial cells into separate spaces, and then grows them while buried in the soil. This method looks very promising and could be used to develop new antibiotics. The researchers have already identified a new antibiotic which they have termed Teixobactin, which looks especially promising as it breaks down the cell wall of Gram-positive bacteria, something which would be effective while also likely being hard for bacteria to evolve resistance against. One also wonders if this technique might also help us culture tricky pathogens that already infect us but which we find difficult to grow from samples. So that soil in your backyard contains all this useful stuff; it is teeming with bacteria, other micro-organisms and the things they produce. Plant’s living in the soil have their own equivalent of our gut biome, known as the rhizosphere which is in the soil around its roots. This has been known about for donkey’s years and probiotics for the soil have long been in use. If you are into your vegetable gardening then you may have even used some yourself. (They are particularly popular for growing beans and peas as certain bacteria allow the plants to fix nitrogen from the air). And as well as the Human Microbiome Project there is an equivalent Earth Microbiome Project. As we are not born with anything like a full compliment of gut bacteria, but have adult-like populations in our gut by around age two, it seems a reasonable idea that we pick them up in those first couple of years from our environment. Part of that environment is soil. We still have a lot to learn about the microbiome, whether it is in an animal, in the soil, or elsewhere. The closer we look the more we realise that there is transfer between the soil, ourselves, and other animals. And different bacteria also swap handy genes between these biomes (bacteria don’t really care much for our compartmentalized classifications of where they each belong). When it comes to soil bacteria though, something I find especially interesting is earthworms. The soil is home to all kinds of creatures, not just microscopic bacteria and other microscopic organisms like fungi but invertebrates also. There are lots of studies looking at the effect earthworms have on bacteria in the soil. In addition to their indirect impact on the structure of soil, they provide, through their worm castings, a ready supply of organic substrates to the microbial community within the soil. They also have loads of bacteria in their guts and some of this is shed in their castings into the soil. Plants love this stuff and some people grow worm castings (vermicompost) as a soil amendment, which has been shown to increase yields (Arancon NQ et al). Vermicomposting toilets are also used by some and have been found superior when it comes to mass reduction, pathogen destruction, and compost quality, compared to latrine style microbial composting toilets (Hill GB et al). As well as pathogen destruction there appears to be a bottleneck effect on bacteria, “favouring the existence of a reduced but more active microbial population” as reported in another study looking at earthworm digestion of animal manures (Gomez-Brandon M et al). You can encourage worms into your garden soil in a variety of ways. The simplest is to have a wormtower, pit/trench compost or utilize a no-dig method of produce growing in which you lay down cardboard to suppress weeds and the worms love it (they use it as bedding as it rots down). I’ve been using the no-dig method recently and it seems to be working well. I also plan to build a wormtower and I’ll blog about it when I do. Manure obviously has lots of bacteria present and if you add it to your garden then you will be introducing new bacteria into your soil. This is probably a good thing in general, if we assume that what is good for plants is also good for us and with the help of our friendly earthworms we should have some protection against pathogens. But if you fertilize your garden with manure then you ought to be picky about where it comes from, as animals treated with antibiotics may cause an increase in antibiotic resistant bacteria within the soil (Udikovic-Kolic N et al). All this talk of worm castings, and manures, reminds me of an interesting post over on VegetablePharm about naked mole-rats being fed faeces when nursing. Elephants are also known to feed dung to their young. I’m not suggesting we eat each other’s crap, but it probably points to the use of animal manure for growing veg as a positive thing. There are lots of factors that influence which bacteria are present in the soil and you may able to get some data for free with a few clicks. In the UK, what used to be The Cranfield Soil and AgriFood Institute (CSAI), incorporating the National Soil Resources Institute (NSRI), is a centre within Cranfield University, which provides data on what is in the soil across England and Wales (and I think there may be some data for Scotland and Northern Ireland too). The maps allow you to look at any place and see various layers of data displayed as you choice. Want to know the level of lead in your soil? No problem. Arsenic? Sure thing. Minerals, drainage, fertility – it’s all there. But it gets better: they have data on bacteria!! First though, the type of soil where I live. My soil is described as “Lime-rich loamy and clayey soil with slightly impeded drainage. Highly fertile. Topsoil carbon is low.” (means it would benefit from some leafmold). This is all spot on by the way; it describes my soil perfectly. Under general cropping guidance it says “Suited to autumn sown crops and grass but shortage of soil moisture can restrict yield, and timeliness with field work is important to avoid structural damage particularly in spring” and this is true, when it’s wet it has a tendency to mud, so you have to avoid stepping on it much of the year. But otherwise it is excellent soil. Bacterial Shannon diversity is 3.92 which is the highest bracket on the scale. Bacterial community structure is 0.32 which again, is high. So how meaningful are these summary measures? Well, they are a quite rough measures in comparison to 16S rRNA testing of bacterial communities. But still, they suggest that my soil will include a diverse abundance of bacterial types and will be evenly spread – they are all about mathematical probability of equal results in the dataset, so a high number means that the dataset (usually species, but can be genus or family) is diverse. How consistent these sampling methods are across sample areas, I have no idea. But this data is just egging me on, now I want to find out exactly what is in my soil. There may be similar survey data available in other countries. I looked for something similar in the US, and although the United States Department of Agriculture has a Web Soil Survey with some interesting data, I can’t see any data on bacteria unfortunately. This year, once the soil warms up, and I have more growing in it, I will be uBioming my garden soil. So we’ll not only see what progress I’ve had in my gut recovering from antibiotics but we’ll also know what is in my the soil where I grow my veggies and how relevant this exposure might actually be to human gut health – what exactly might we be exposing ourselves to if we re-embrace soil in our daily lives. Image credit: Wikipedia Commons. Create Commons Licence.